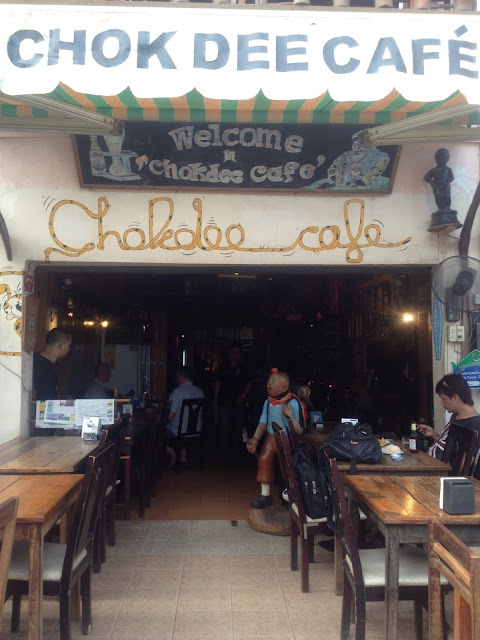 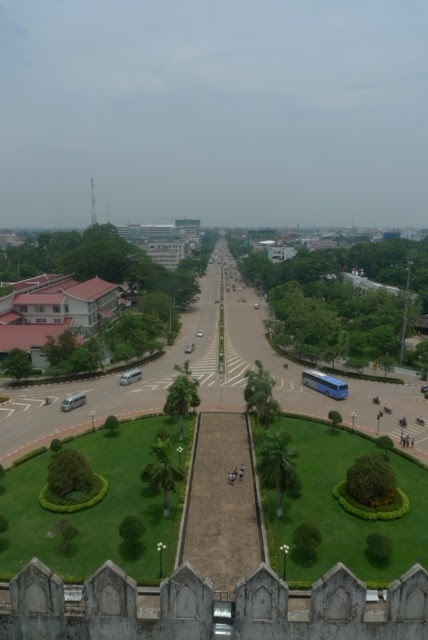 We really didn't have just one day in Vientiane. 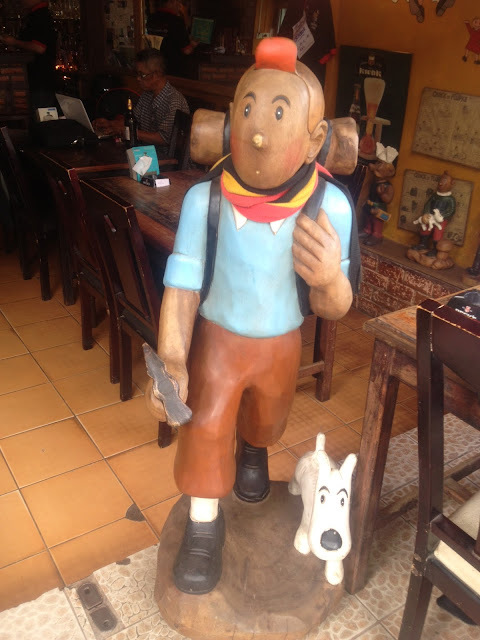 I saw this Belgian Bar on our way to our hotel. 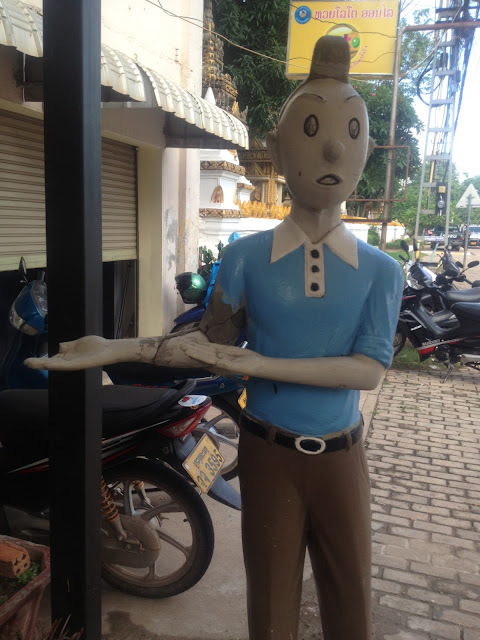 How can I resist spending my first day in Lao enjoying good beer in the company of Tin Tin? 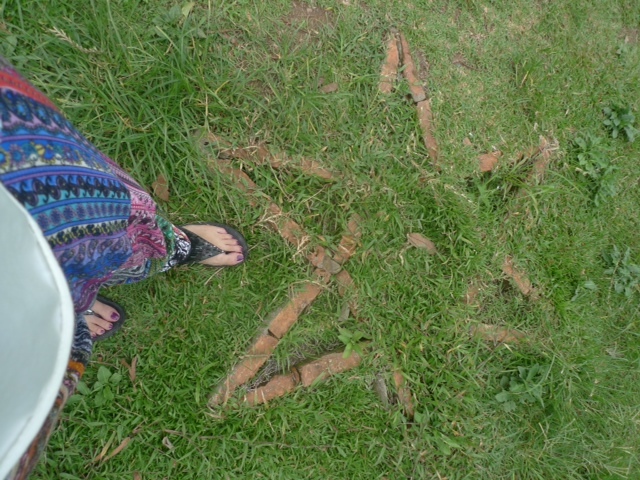 Anyway, on with the tour, which we did the following day. 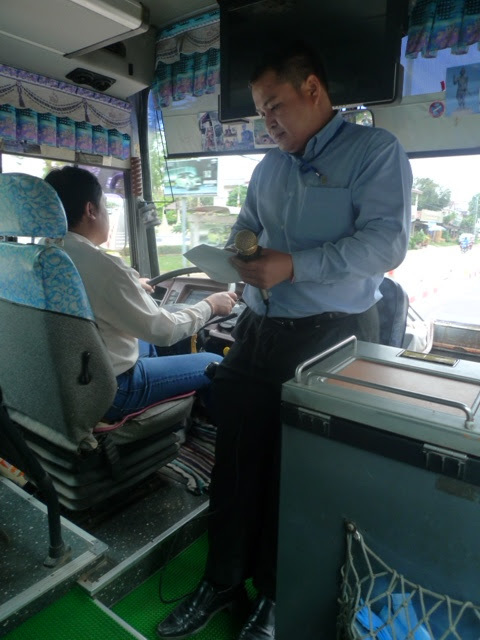 We decided to hire a tour agency to take us around Vientiane. 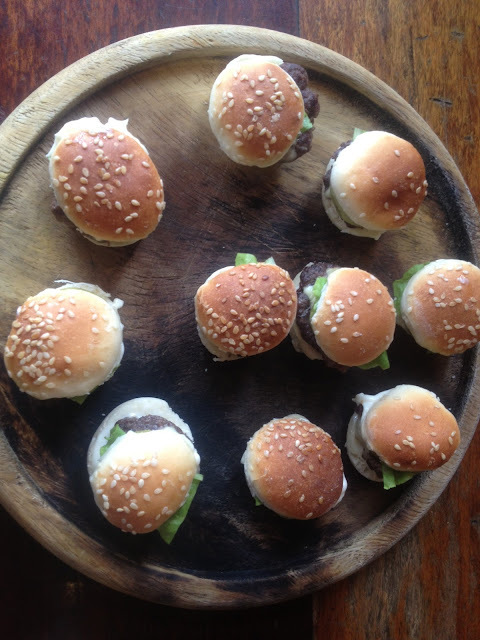 We usually do it ourselves but we only have less than eight hours. 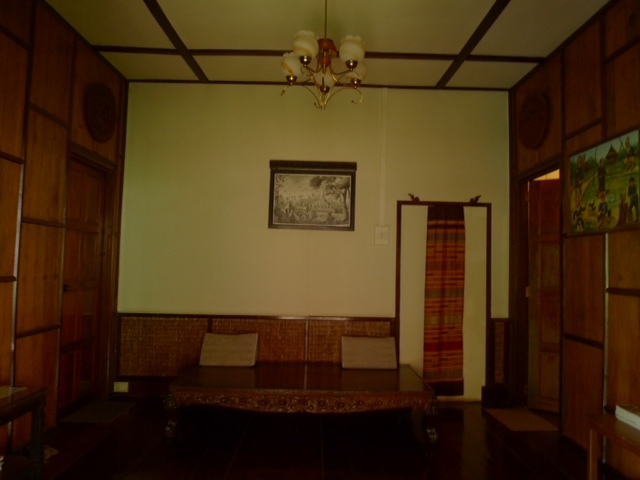 So, after taking and enjoying our breakfast at Sala Impeng, we left on our own tour bus. 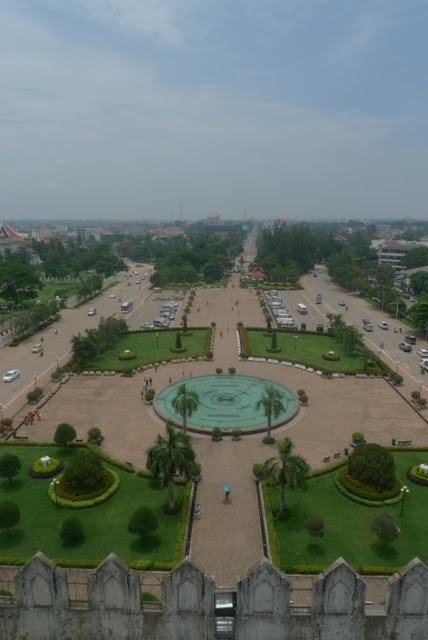 Vientiane is the capital and largest city of Laos, situated on the Mekong River. 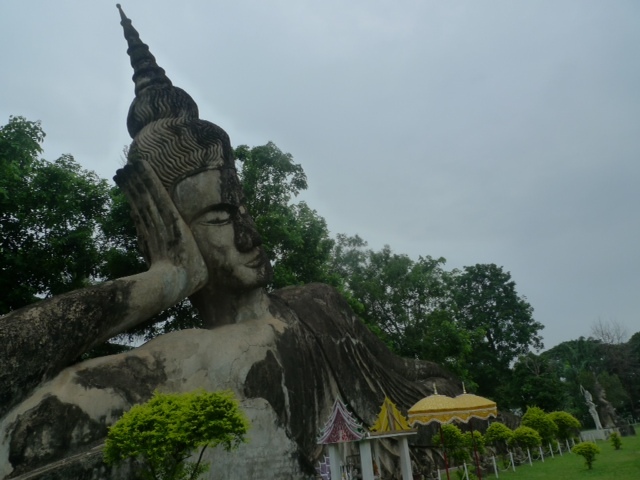 Our first stop was the Buddha Park, which has the iconic reclining buddha. 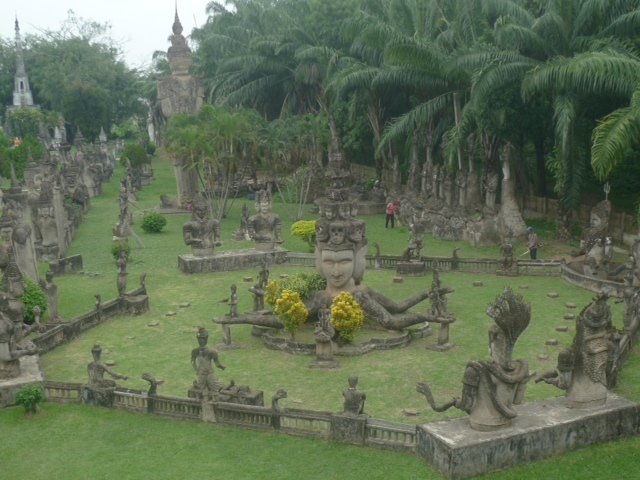 Buddha Park contains a collection of Buddhist and Hindu sculptures, scattered amongst gardens and trees. 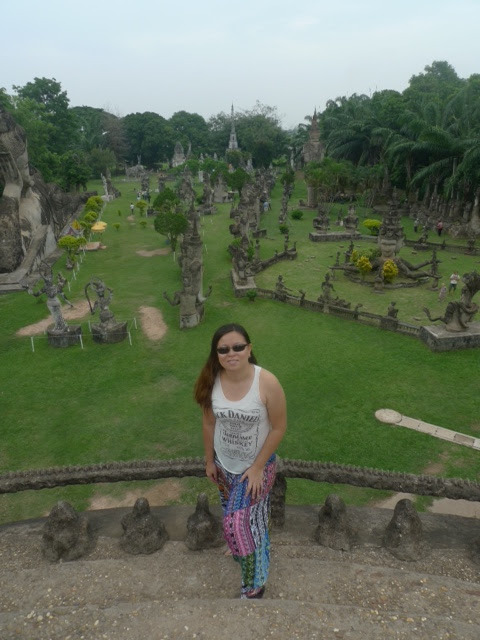 Visitors can climb up the pumpkin structure, which has three stories representing hell, earth and heaven for a good view of the park. 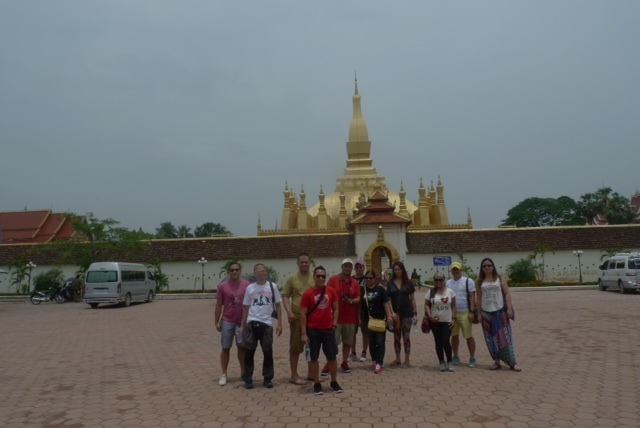 We went to Pha That Luang after. 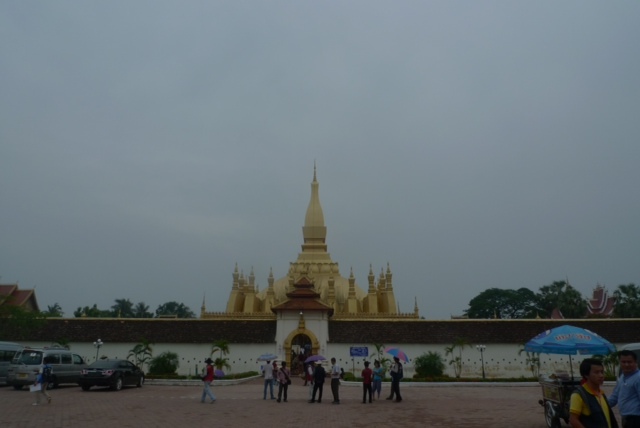 Pha That Luang is regarded as the most importamt national monument in Laos and a national symbol. 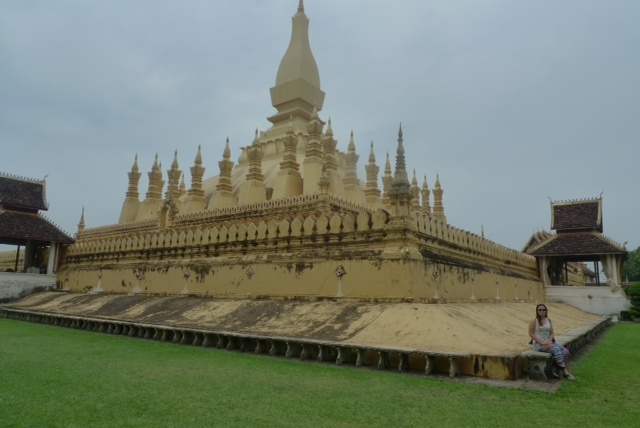 Located at the center of Vientiane, Phat That Luang is a gold-covered stupa. 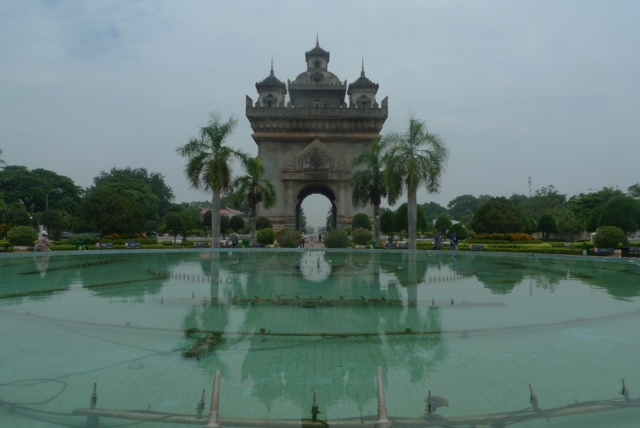 The next is another prominent landmark, inspired by Paris' arc de Triomphe. 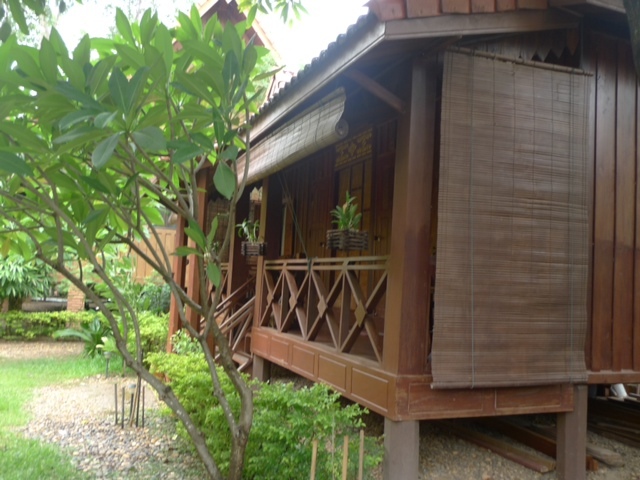 It however incorporates typical Lao motifs. 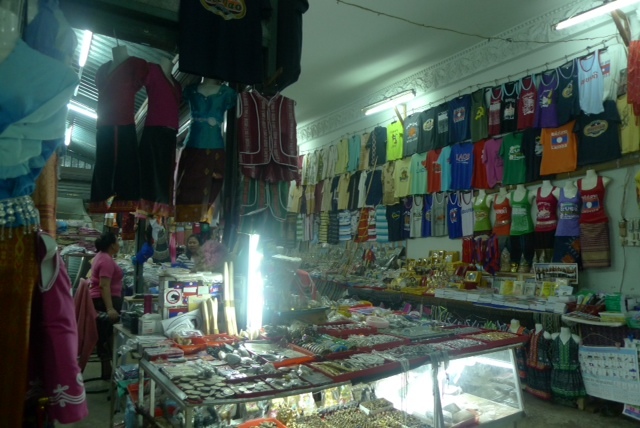 Stalls selling souvenirs are located at the upper floors. 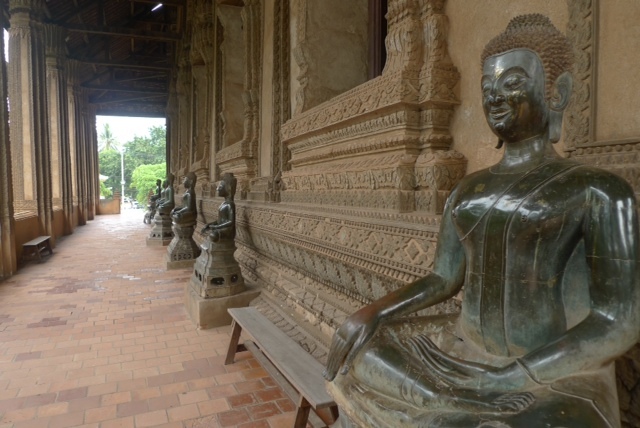 Lunch followed then we went temple hopping, which included Wat Si Muang, Wat Si Saket and Haw Phra Kaew. 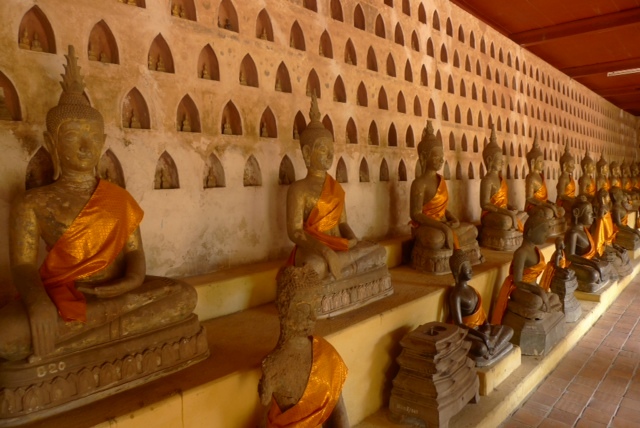 Wat Si Muang is interesting. They say that a pregnant girl decided to offer herself as sacrifice by leaping to her death at the hole for the pillar. 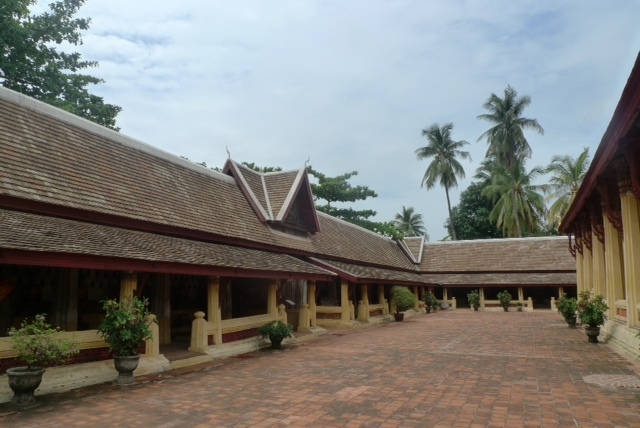 Wat Si Saket is a Buddhist wat in Vientiane, Laos. 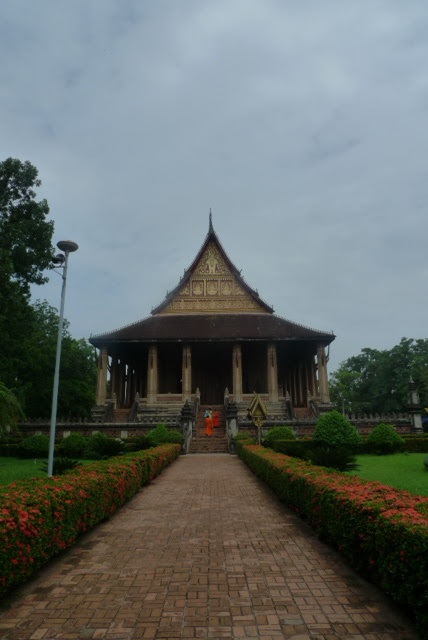 It is the oldest temple still standing in Vientiane. 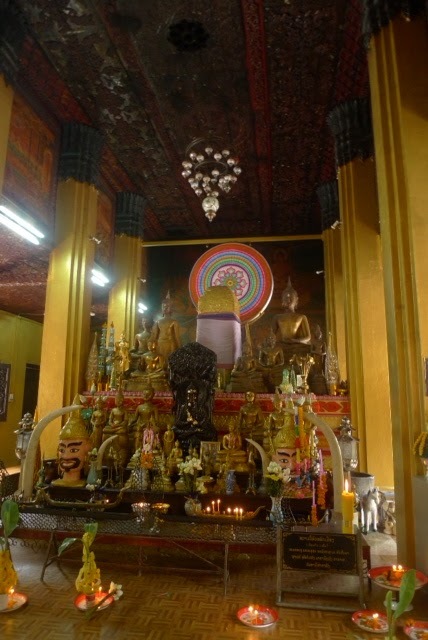 The temple has thousands of Buddhas. 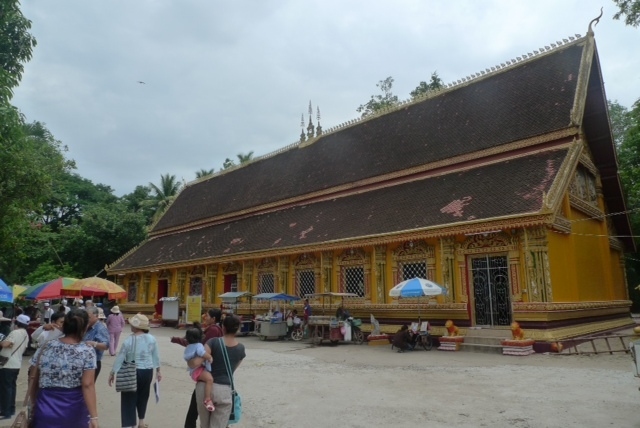 Last in our itinerary was the Haw Phra Kaew, which used to house the Emerald Buddha. 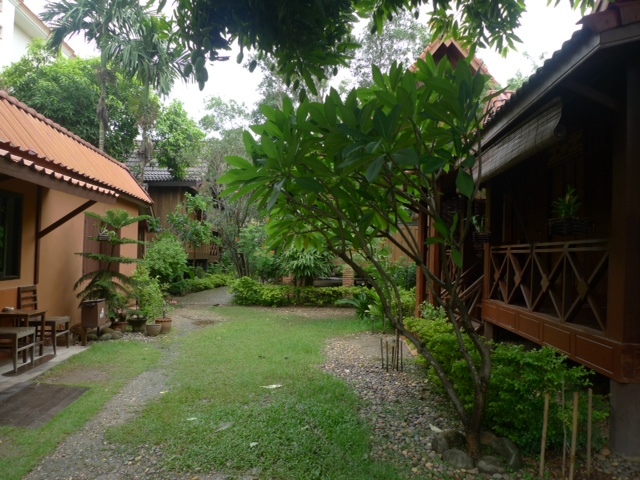 After our tour, we went back to our home in Lao, Sala Impeng to freshen up and prepare for our 20 hour bus ride to Hanoi. 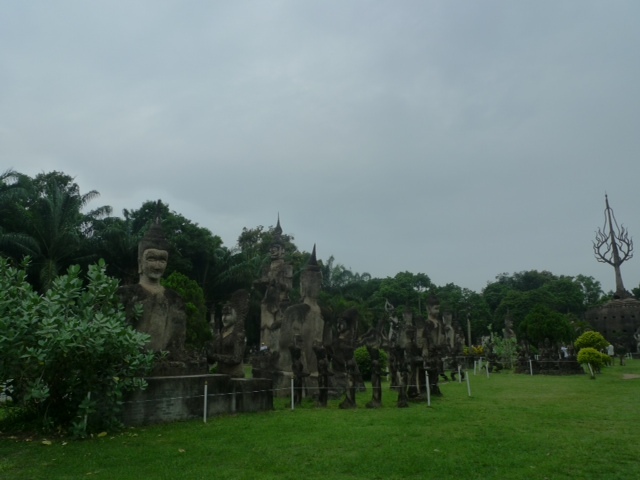 2) We also booked our bus to Hanoi with our tour operator. 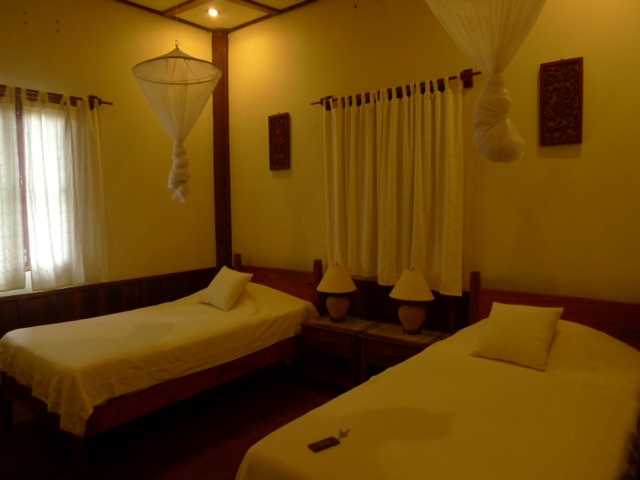 We booked luxury. That was not what we got.